Uncover how you can leverage press releases to stand out from your competitors. Take the pride in creating your success stories. Boost your company's visibility through worldwide distribution. 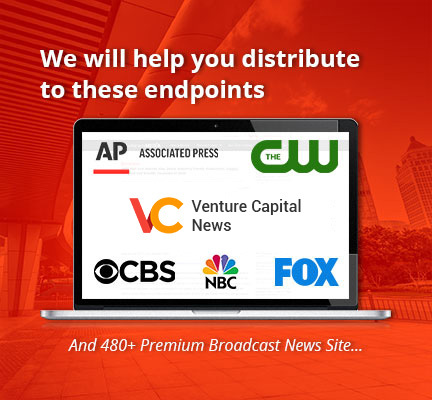 Get featured on highly authoritative news sites from Google News, Reuters (exclusively on MarketersMEDIA), Associated Press to ABC, FOX, CBS, and many more. Reach out to huge viewership and customer base with instant publicity to generate massive traffic. You're just one click away from achieving the best publicity. Track and analyze your success with our complete data analysis and cost-effective method, only on MarketersMEDIA. Press Releases for SEO - Do they still work? Let's step up your game with the right marketing platform.